Filmed over the course of 12 years with the same cast, BOYHOOD is a groundbreaking story of growing up as seen through the eyes of a child named Mason. 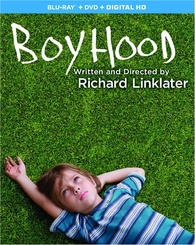 A box office hit from IFC Films that has garnered universal critical acclaim, BOYHOOD achieved a rare 99% Certified Fresh rating on Rotten Tomatoes, earned an unprecedented score of 100 on Metacritic and is the first film to receive an A+ score from Entertainment Weekly’s Critical Mass. The film stars Academy Award® nominee* Ethan Hawke, Patricia Arquette, Lorelei Linklater and Ellar Coltrane as Mason. Growth is a lifelong process. While we attempt to categorize different stages in our development, life is really just one long stretch of learning and discovery. A child fighting with his big sister, a teenager sneaking a drink, a father struggling to keep a steady job, and a mother working hard to pay the bills are all on the same decades-spanning journey -- the same collage of mistakes and revelations and heartaches and triumphs. Over a twelve year period, Richard Linklater's 'Boyhood' chronicles such a montage of moments, and through its fascinating examination of shifting years, the movie connects each passing instance into a whole that is far greater than the mere sum of its parts. As we ostensibly watch a boy become a man before our eyes, the director essentially deconstructs those very labels, blurring the passage of time into a beautifully understated celebration of life's small joys and unanswerable questions. Featuring an unconventional twelve year production, the movie focuses on Mason (Ellar Coltrane), a six-year old boy, as he grows into an eighteen-year old adult. Through a series of vignettes from each year of passing time, the narrative follows Mason from elementary school until his first day at college, offering various peeks into his evolving life along the way. From bad haircuts to abusive stepfathers and first loves, the story illuminates his coming-of-age in moments both small and significant. When I first heard about the film's undeniably ambitious scope, I was cautiously optimistic. While shooting the same movie with the same aging cast over a twelve year period is a potentially fascinating concept, I was a bit worried that this conceit would prove to be a simple gimmick. After all, watching child actors age on screen is hardly groundbreaking. We see it happen all the time on various TV sitcoms and dramas, or even in film series like Francois Truffaut's 'Antoine Doinel' movies. But thankfully, what Linklater has done here is quite different from anything that has come before, creating a cinematic examination of passing time like no other. Parents often lament about how fast kids grow up, frequently questioning where all the years have gone. Though I've yet to experience this firsthand, after seeing 'Boyhood,' I now feel like I've gotten a taste of this phenomenon. As we watch Mason gradually grow throughout the years, Linklater carefully compresses twelve years into a mere 164 minutes, and while scripts spanning decades are hardly new, the fact that the cast and the production actually endure this passage of time offers a startling experience. When Mason goes from being a wide-eyed seven-year old to a moody adolescent, the audience is now able to feel that loss of time in a truly palpable way because it's real. The actor and the character have actually gotten older; those years are gone and there is no going back. I often couldn't help but look at the screen and wonder like a proud but bewildered father, "Where did my little boy go?" Transitions throughout the years prove to be both seamless and abrupt, with Linklater rarely offering any clear segue from vignette to vignette. Instead, despite the inherently fragmented narrative and production, all of the separate pieces feel like a cohesive whole, and we are left to decipher the shifts in time through Mason's growing face and changing voice. Likewise, audiences can also follow the moving years through little background details like the electronics the character use, music they listen to, news they watch, and politics they discuss. Together, each year blends into the next, resulting in distinct yet organic segments that chronicle Mason and his family. Some of these episodes focus on rather predictable beats, following Mason as he argues with his big sister or watches his parents fight from a distance, but as the runtime goes on, Linklater almost seems to go out of his way to avoid the typical "big" moments that most coming-of-age stories gravitate toward. In contrast, the narrative hones in on the smaller instances between these so-called milestones, and many scenes tend to favor various heart-to-hearts and simple conversations between Mason and his family and friends. Of course, there are still instances of traditional conflict, including a stretch of time that features an alcoholic stepfather. With that said, for the first half of the film, Mason is more of an observer of the film's drama rather than a true participant. But as the movie develops, he transitions from a passive protagonist into an active one, allowing the narrative's dynamics to mirror the character's own personal growth. While with rare exception the film is primarily told from Mason's perspective -- his father, mother, and sister also play an integral part in the story. In fact, as the filmmakers point out in the included special features, though the movie is called 'Boyhood,' it could have just as easily been titled 'Parenthood' or 'Adulthood,' as Linklater's examination of growth here is hardly age exclusive. In the role of Mason's parents, Patricia Arquette and Ethan Hawke are both exceptional, illuminating the lingering pangs of uncertainty, doubt, and endless learning that continue on with us well out of childhood and adolescence. Their parallel stories work in tandem with their son's, creating an all-encompassing peek into the same twelve year period. As Mason makes mistakes and learns from them, so too, do his mother and father, revealing life's cyclical and never-ending growing pains. We watch Mason go through his awkward years, only to learn that in reality, from birth until death -- they're all awkward years. Whether we're in our teens or fifties, we remain stumbling, confused, strange little creatures, struggling to learn how to walk and forever aching to discover who we are. As Mason and his family reveal, childhood and adulthood are really just insignificant labels, marking vague stepping stones across one single moment -- an infinite now filled with hardship and possibilities. So much more than just a mere gimmick, Linklater's multi-year production allows us to feel the very reality of growth, to examine its evolution before our eyes, engendering all the paradoxical loss and progress that comes with each shifting year. 'Boyhood' is a striking achievement, a thought-provoking experiment in cinematic production, and an unassumingly beautiful film. By actually going through the twelve year process in front of and behind the camera, Linklater construct's a cinematic coming-of-age story where both form and content experience the full, bittersweet weight of time. Paramount brings 'Boyhood' to Blu-ray on a single BD-50 disc that comes housed in a keepcase with a cardboard slipcover. A separate DVD and instructions for a digital copy are also included. After some skippable trailers, the disc transitions to a traditional menu screen. The packaging indicates the release is region A coded. The movie is provided with a 1080p/AVC MPEG-4 transfer in the 1.78:1 aspect ratio. Despite its unconventional twelve year production, the film maintains a consistent and impressive image. The 35mm source print is in great shape with a natural layer of light grain visible throughout, and only some very negligible specks here and there (particularly early on). Linklater employs a very naturalistic style, resulting in an understated but beautiful picture. Though not razor sharp, clarity is pleasing and the video offers a good sense of dimension. Colors are realistic yet still vivid, and the palette favors light greens, blues, and yellows. Contrast is also well balanced with even whites and blacks. With that said, grain in dark scenes tends to look a tad heavy and slightly clumpy. Thankfully, I detected no major signs of compression or digital artifacts. With its naturalistic aesthetic and strong technical presentation, 'Boyhood' comes to Blu-ray with a great video transfer free from any major issues. The film is presented with an English DTS-HD MA 5.1 track along with English, English SDH, and Spanish subtitles. Like the video, the audio is fairly modest in design, and while this subtle quality works very well, the mix does lack notable surround sound presence. Dialogue is clean, full, and well prioritized throughout. The soundstage is relatively front-loaded, but delicate hints of appropriate ambiance are spread naturally to the rears. Directionality and imaging are equally subtle, resulting in a small yet seamless soundscape that expands a bit during more dramatic moments (a tense scene in a car, for instance). Music is also a large part of the experience and the soundtrack of pop and rock songs complements the film's shifting time periods perfectly. Thankfully, the songs all come through with strong fidelity and stereo separation. Dynamic range is crisp and wide with no distortion, though bass activity is fairly negligible (as one should expect from a film of this type). 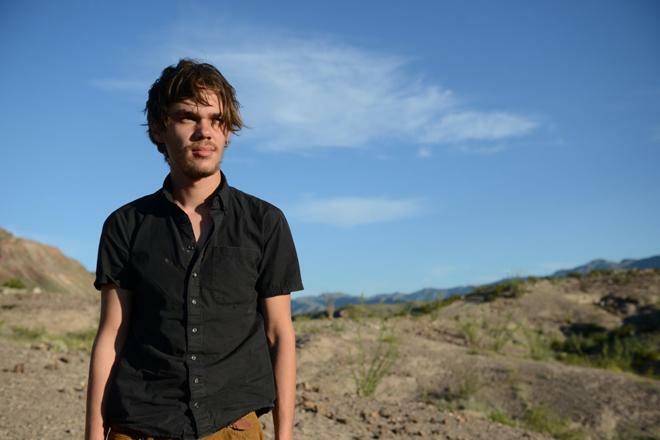 Quietly immersive, 'Boyhood' features a fitting but slightly underwhelming audio mix. Though the restrained design works well with the content, just a little more activity and texture could have helped to enhance the experience. The 12 Year Project (HD, 19 min) – Presented in 1080p with Dolby Digital 2.0 sound, this is a great behind-the-scenes featurette with the cast and crew. The participants discus the impetus for the film, how the idea developed, casting, themes, and influences from real life. Interviews are culled throughout the process, offering peeks into the shifting perceptions of the film's young stars. More than standard promotional fluff, this is an insightful look at the film's interesting twelve year production. Q&A with Richard Linklater and the Cast (HD, 53 min) – Presented in 1080p with Dolby Digital 2.0 sound, this is a post-screening Q&A with the director and cast held at Cinefamily in LA on June 15, 2014. The group share lots of anecdotes from the shoot while addressing the twelve year process and their experiences growing up with film. Again, this is a great inclusion full of worthwhile material. Richard Linklater's 'Boyhood' is an unassumingly beautiful film. So much more than just a mere gimmick, the movie's ambitious twelve-year production allows the audience to feel the narrative's passage of time in a deeply emotional and resonant manner, creating one of cinema's most unique and honest coming-of-age stories. The video transfer is strong and the audio mix is appropriately modest and effective. Though not packed with supplements, the included featurette and Q&A offer lots of great insights into the film's fascinating production. This is easily one of 2014's best movies and thankfully Paramount has done a great job with this disc. Very highly recommended.